Here’s another fun and tasty twist on caprese salad. 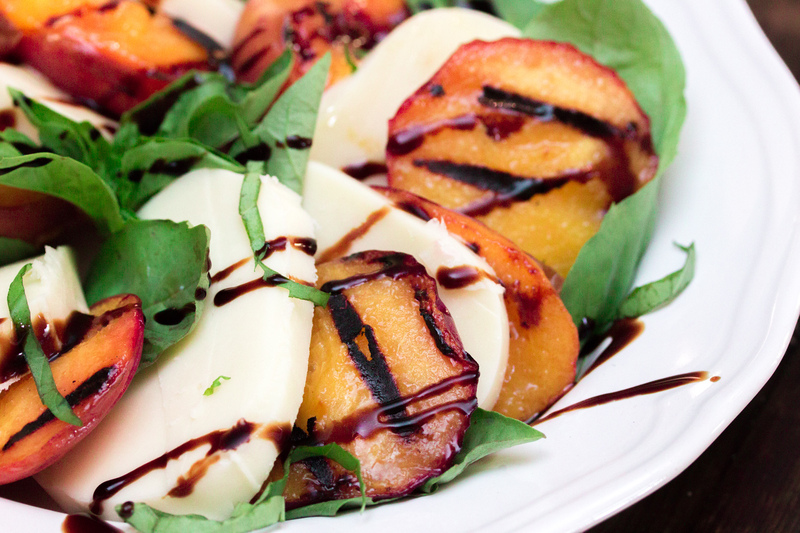 This Grilled Peach Caprese Salad is easy to make and a great BBQ salad for your summertime activities. A salad like this starts off with good peaches. 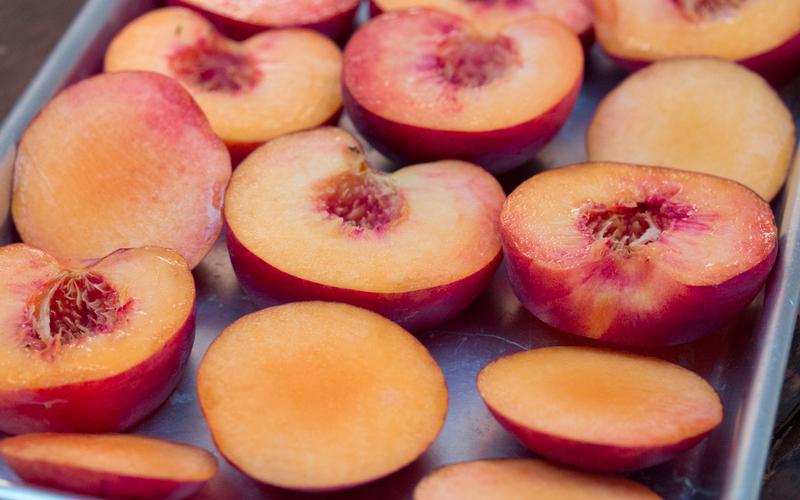 Check out my article on everything you need to know from buying to storing peaches. Slice the peaches in half, removing the pits. 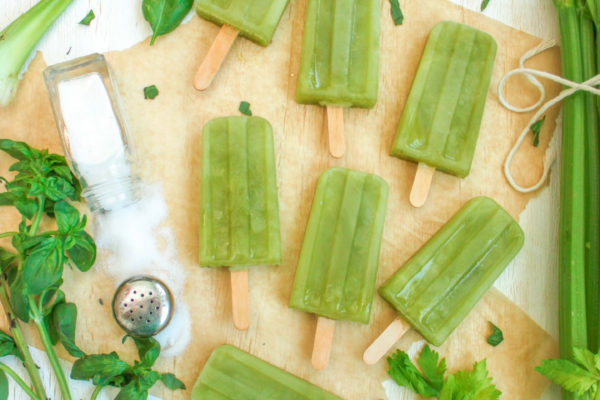 Line them on a baking sheet, sliced side up. 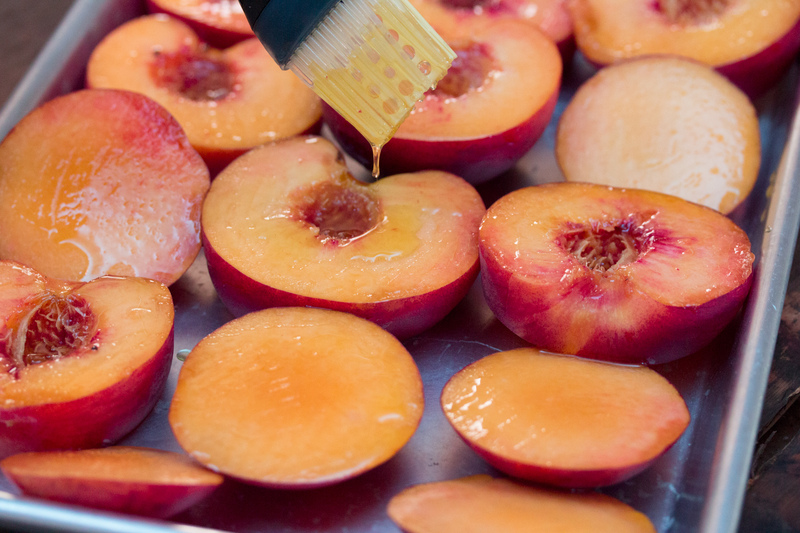 Brush each peach with enough olive oil to coat. This will prevent them from sticking to the grill when you grill them. But they will stick some, so don't be too surprised by that. 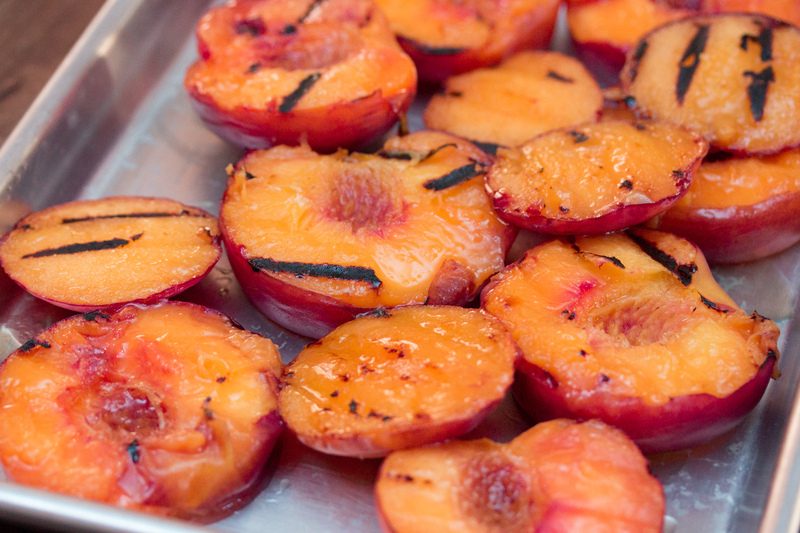 Grill the peaches face down for a few minutes, until they are tender and seared. Slice your fresh mozzarella into 1/4 inch slices. I highly recommend the fresh mozzarella packed in water. 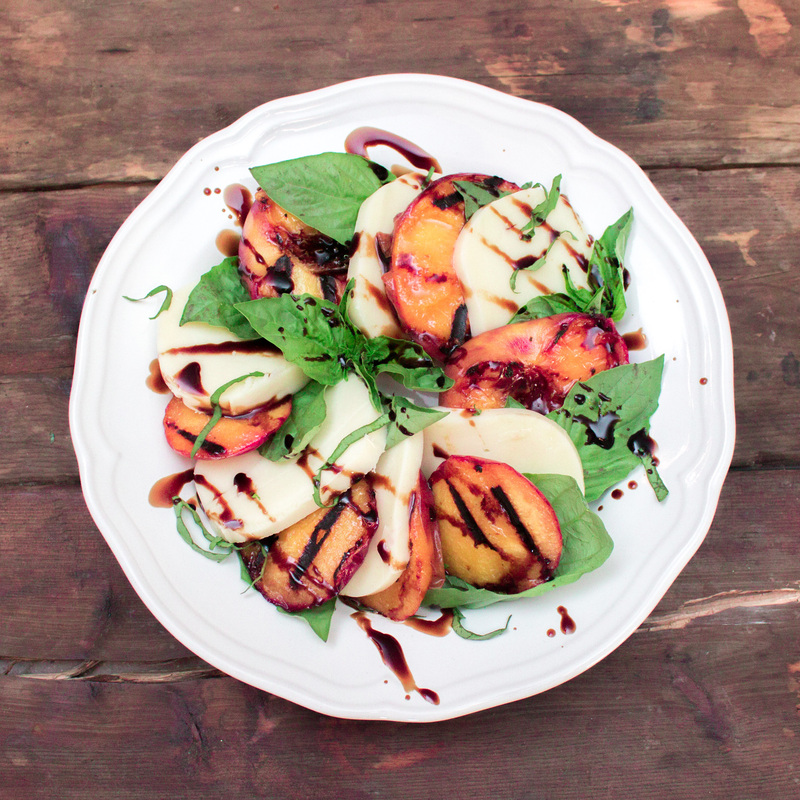 To plate this salad, alternate between fresh basil, mozzarella, and grilled peaches. Drizzle both olive oil and some balsamic glaze over the salad.Enjoy!